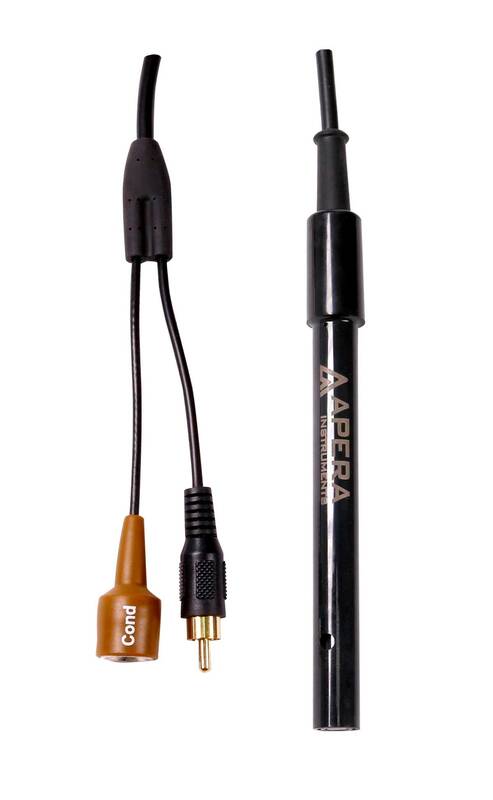 Apera Instruments 2310T-F Conductivity/Temp. Electrode is designed for high-range conductivity measurement (up to 2,000 MS/cm, K=10.0). Equipped with Apera's unique sensor ring coated with platinum black, the electrode provides a stable and accurate measurement in high range conductivity. The accuracy is ±1.5% F.S. Even without calibration, the accuracy can maintain at ±10% F.S. Temperature sensor is built in to enable automatic temperature compensation. This electrode is compatible with the following Apera meters: EC800, EC820, PC800, PC820, and EC700. 3Ft cable length. BNC/RCA connector.